Temple dating from the 2nd century BC. Built by King Dutthagamani (Dutugamunu) of Anuradhapura, in gratitude for having found this place silver he needed to complete the construction of the great stupa of Ruwanwelisaya Anaradhapura, on the occasion of his victory over Tamil King Elara who invaded the region. This site is about 45 minute (approximately) drive from the Kurunegala Town. Interesting Buddhist site with history and beautiful views. I would recommend you choose a weekday to visit this Temple as in most weekends and religious holidays, the site can be crowded with local pilgrims. Use socks to walk in the temple during the day time since it is burning hot in some places. . Highly recommend for every traveler to visit this Buddhist temple. this place having long historical and cultural value to study. Per gli amanti dei templi buddisti è una tappa obbligata. All' interno del tempio non è possibile scattare fotografie purtroppo. Merita comunque una visita anche il tempio di fronte con 10 minuti di salita. An ancient historically valued temple with a story to be found. Silver Temple 'Ridi Viharaya' is said to be built in late 2 Century BCE by late King Dutugemunu, probably the most legendary king of Sri Lankan History to date. This picturesque location is located away from the city clutter and the environment is surrounded by green trees. A tiny gem of a cave temple. It's a little hard to get to unless you are in a car. The temple is well kept and the cave temple is tiny but interesting. A young monk showed us around the place for a donation. Maybe even better value than Dambulla and no one else there. 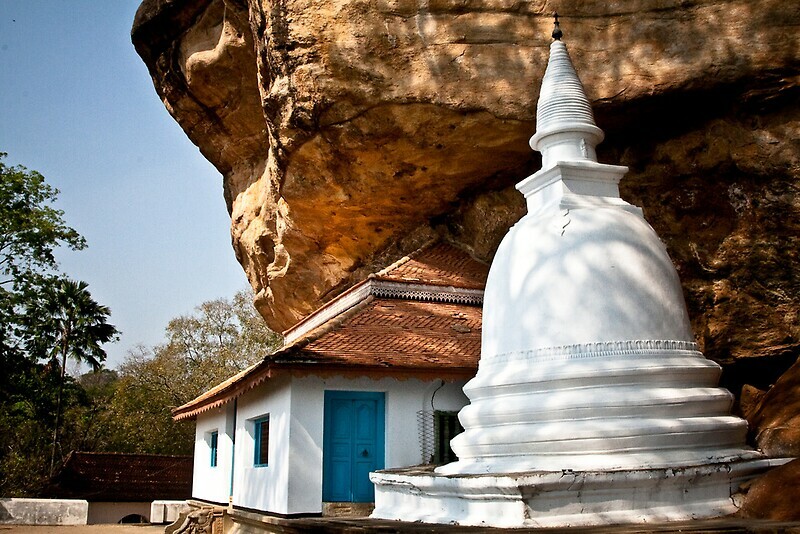 Situated just within 8 kms from Kurunegala on Keppitigala road, this is one of the oldest temples in Sri Lanka which was built by King Dutugamunu who unified the island under his control. Temple was built in gratitude, according to legend a group of traders travelling to hill country wanted to rest their cattles (bullock carts pulled by bulls) went in search of fruits, found a riped jack fruit. They wanted to offer a portion to meditating arahaths (monks). After accepting the jack fruit, one arahaths show them a way to an area where they found this silver ore. Traders took a sample to king and he used the silver to pay his workmen who were building the King's masterpiece Ruwanweliseya Dagaba in Anuradhapura. You can see the glass encased Gold plated Buddha statue and old paintings together with ivory and crafted gem inserted doors which supplied sun light to the inner temple.